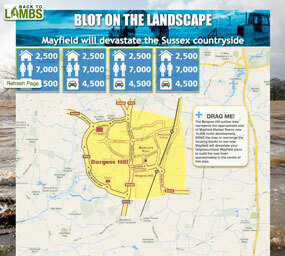 “Grotesque and wholly unwanted… unhelpful and so destructive… undermining Localism… a thoroughly bad scheme”- MP for Mid Sussex, Nicholas Soames was unapologetic and emphatic in his condemnation of Mayfield Market Town’s “unsustainable” plans for a new town. 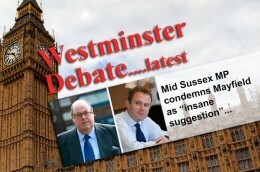 Mr Soames had called the debate jointly with MP for Arundel and South Downs, Nick Herbert, who pointed out that Mayfield had blighted the area and was now having a marked effect on local house prices. 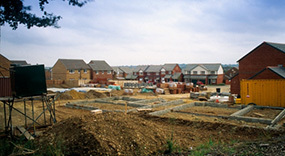 The Minister for Planning was unable to attend, but sent Chris Hopkins, Minister for Housing, to answer the debate. 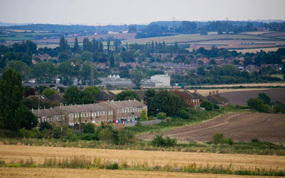 Mr Hopkins re-iterated the government’s commitment to the NPPF and gave a reassurance that local councils did have power to make the decisions over planning issues, through their local plans. 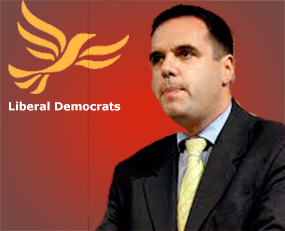 You can see a transcript of the full debate on Hansard – 3rd Dec 2013, 11 am, Column 209WH, Mayfields New Town. 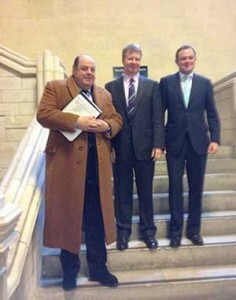 Interview with Nicholas Soames MP. 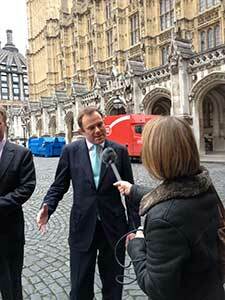 Interview with Nick Herbert MP. Interview with Anthony Watts Williams of LAMBS. Nicholas Soames, Anthony Watts Williams and Nick Herbert. For the latest News and Interviews subscribe to E-LAMBS.